Way back when, activewear had fresh trends once or twice a year. Now, as a key apparel category, things have sped up a whole lot. It calls for activewear brands and retailers to sharpen up processes in order to give their customers the sweet stuff. That’s where we can help out, using our retail data to understand where the newness lies and how significant new trends will be. 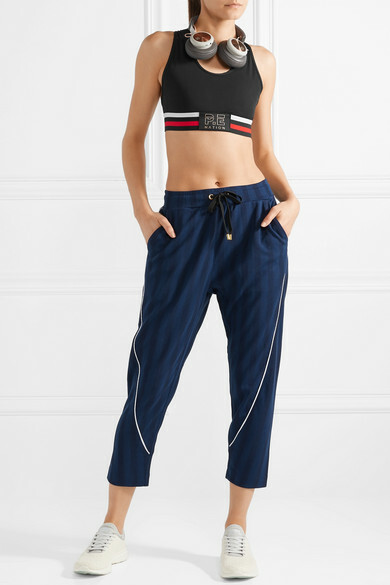 Let’s jump right in, with these hot new activewear trends. Speed is power in sport, and the activewear industry is into it in a big way. There have been big technological developments in the last couple of years around energy return, light-weight soles. Under Armour, Nike, Adidas, Puma, New Balance and Asics – they’re all doing it. 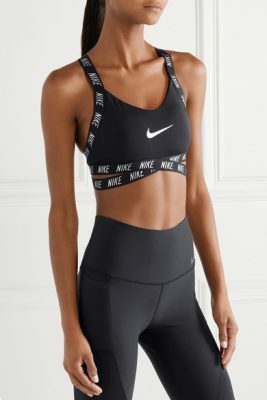 There has been a 160% increase in the appearance of the word “speed” in activewear product descriptions in the last two years. Add to that a 260% increase for “energy return” products. Such products claim that removing the stress from running means faster recovery for the athlete. That’s something Nike tested with its Zoom Vaporfly Elite, helping pro marathon runner Eliud Kipchoge secure a 4% faster time. Nike’s Pegasus with ZoomX foam soles. Those Zooms aren’t available commercially but Nike had a general release of the Pegasus Turbo with ZoomX foam. Speed is hot right now. There is almost four times as many products in stock now that describe as helping the wearer “run faster”, than there was this time last year. Of course, it’s sneakers that dominate this trend, but other things like leggings and sports bras are growing too. Consumers are keeping up with technology advances and have a better understanding of apparel’s capabilities, pushing brands to innovate even further. Naturally this leads to the question of which other active properties could sports clothing enhance? Should we be looking out for “stretch better”, “reach further”, “jump higher” and “hit harder”? This one is on Kimmie. Thanks to the looks pushed by the Yeezy brand, and touted by Kardashians, cycling shorts are now a hit in fashion. Boohoo even called it “the trend of the season” in a May newsletter (below). While the majority of trending cycle shorts probably never make it to a saddle, there is crossover appeal for activewear. The 2,000% increase in cycling shorts in non-active apparel has led to a 363% lift in products within activewear now compared to a year ago. The price point has also strengthened from one year ago – now at $46.61 – but it’s an accessible price point that suggests this trend won’t stick around longer-term. However, it is important that activewear brands leap on these kinds of trends in order to capitalize on the moment. The swim category as a whole is on the increase, with specifically active swim up 75% for this year, with a 128% increase in active bikinis and 44% increase in swimsuits. Also key for growth are SPF-blocking rashie sets for kids, as consumers become more clued up about UV damage. Here are some bestsellers within women’s swim, which focus on support and coverage. Streetwear – it’s a hit in luxury and smart active brands have seen that influence and got product out that taps into the moment. Ivy Park was there from the start, with its stark palettes, oversized shapes and branded waistbands. Now others are tapping into an Off-White aesthetic. Nike’s repeat branded bands on a sports bra and flash of yellow on the VaporMax FlyKnit typify this new direction that has so much unexplored potential. Extended size offerings are a booming opportunity across apparel, but activewear is an area of especially focused growth, given how underrepresented larger sizes have been. In the last three months there has been 92% more self-described “plus size” activewear items than two years ago. ASOS are representing the mass market, with their 4505 line now rolled out to include 24 Curve items. Nike has increased its plus size offering 48% from one year ago. Bottoms are the most-stocked category but sports bras represent the highest number of bestsellers. Though menswear has grown, it still lags behind womenswear. It represents a big opportunity. Here are some of the best-selling products from the last three months. Seamless activewear has grown 130% in the space of two years. Underwear is the biggest category, followed by demand for sock-like fit in seam free sneakers. 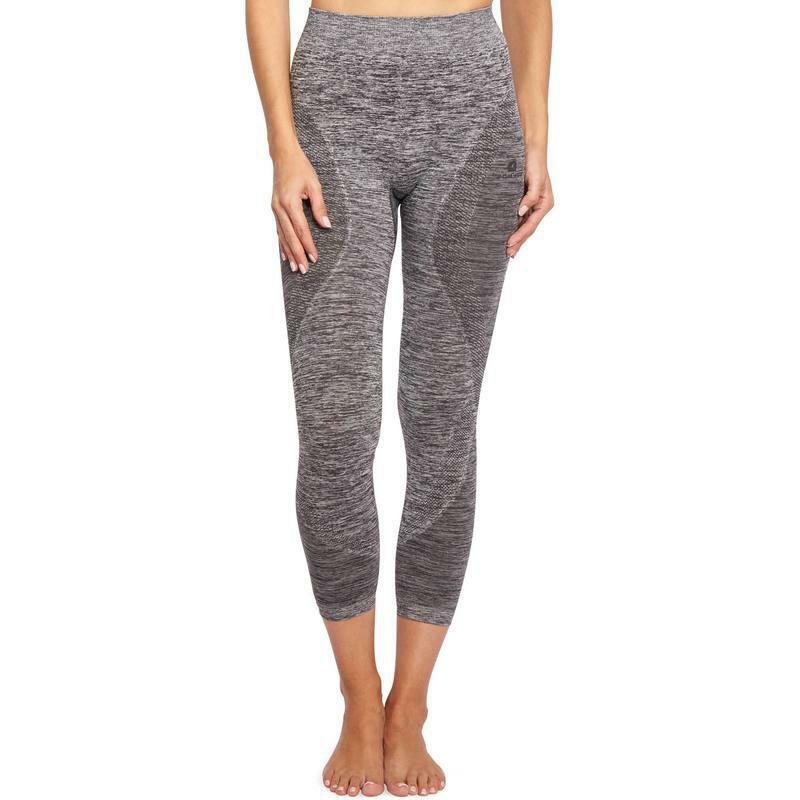 But most interesting are the big gains in seam-free leggings using knit technology. As customers discern their active leisure wear from their performance wear they are building greater understanding of the technical needs, valuing enhancing properties and a stream-lined look. With activewear booming, finally women’s active gets trends of its own. There has been a 189% increase in active dresses in the last three months compared to two years ago. The growth in arrivals of activewear dresses is remarkable. Nike, Adidas, Puma and Free People Movement have introduced the highest numbers of new products this year. And influential active brand Outdoor Voices launched its first skort in April and dress in May this year. Outdoor Voices launched its activewear dress in May this year. The message here is that there are many different modes to women’s active – being sporty doesn’t have to compromise on being feminine. Nor does a dress have to take feminine forms. Currently the average activewear dress is $105.76, with grey marl, black and white selling best. ASOS are stocking into the style, so expect to see more trend-forward activewear retailers following suit soon. Want to know more about activewear? Check out our market report here.